If you haven't read Tribe of Hackers, you absolutely should. Marcus Carey’s take on Tim Ferriss’s Tribe of Mentors is brilliant. 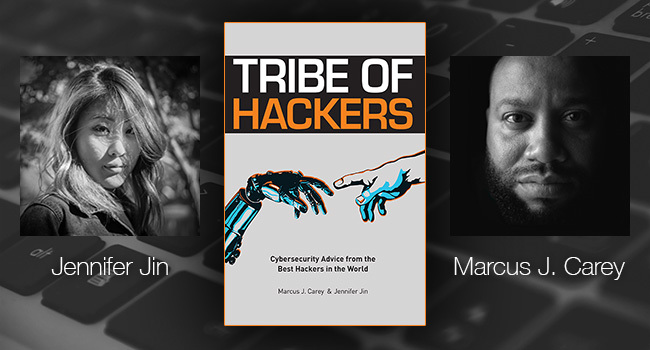 It is an incredible deep dive into some of the best minds in cybersecurity. I found the questions insightful and wanted to add my own answers to the public record. Asset management. I can't tell you how many organizations I have walked into that have big money cybersecurity appliances and certifications without a function asset management system. You can't protect yourself if you don't know where anything is. A lack of focus on the fundamentals. Again, these companies are spending thousands of dollars and man hours implementing these fancy new tools with a bunch of buzzwords (Next Gen, AI, Blockchain, etc) that aren't going to provide any ROI because they don't have asset management or regular patching down. Nope! This is a field where you can succeed without a formal education. Certifications and degrees are great to pass the HR check but I have met people with no degree that have forgotten more about security than I will ever know. I have also met people with a degree that don't know a thing about working in security. It is not about being able to take a test. It is about being able to learn, make mistakes, and apply what you learned from those mistakes. I got my start in cyber security when my Dad told me I couldn't have the internet in my room. I went on to Frankenstein a laptop together. Found a way to download Whoppix, a now defunct precursor to Kali, and booted up my laptop with it. Used money I saved working summer jobs to buy a compatible wireless card that would allow me to crack the wireless password and get on the internet. I was eventually caught and my Dad was furious but from then on, a fire had been lit and I needed to now more and more. As far as pursuing a career in infosec? The best advice I can give is show up and network. There are plenty of cybersecurity related conferences both local and remote, as well as online communities (check out http://infosecjobs.world/!). Get out there and meet the people in the community. By showing up and showing your interested, you are almost guaranteed to run into someone who will recognize your passion and give you a shot. I would have to say my specialty is understanding cyber risk and being able to explain that to the business. There are a lot of news stories about breaches and zero days and most companies don't know what to do with that information. So they are very reactionary. And when some new vulnerability makes the news, and the snake oil salesmen come out of the woodwork, I am there to separate the wheat from the chaff. Should you try and patch Meltdown and Spectre vulnerabilities? Yes. Are you going to be compromised by an attacker using those? Probably not. Are you going to get compromised by a Flash or Java vulnerability you didn't patch? Absolutely. As far as how to obtain this triage expertise. The best advise I can give is try and work in as many different environments as possible. MSPs and MSSPs are great for this. They give you a great chance to touch a lot of different environments and different lines of business to really understand what they need to function as well as what their risks are. Be yourself and be honest. There are a lot of people in this industry who feel the need to never be wrong. To shift blame off of themselves. To be rockstar/ninja/pirate whatever. These people are eventually found out. If you are yourself and you are honest about what you do and own the mistakes you've made you will go far, not only in this industry, but in life. It is cliche but a passion for what they do. This field is not one that you can get a certificate or degree and never expand beyond that. You need to have passion to keep learning to keep up with this industry. The other quality I see is the ability to do quality self care. This industry can burn you out fast and if you don't stop and take a step back once and awhile, you are guaranteed to burn out. Star Wars: Rogue One. Stay with me. The Empire, a massive and wealthy organization, lost its most critical asset to a foreign adversary that was familiar with their operating procedures using their own tech against them (K-2SO). Hackers (1995). I can quote it word for word. That and the Swedish Girl with the Dragon Tattoo series. It does not get nearly enough credit and is closer to the books than anything. I love Extreme Ownership by Jocko Willink. It really shows how you can lead from anywhere inside an organization. As far as enjoyment is concerned; I love anything by Clive Cussler. They are formulaic and there is something comforting about that. This is something I am wildly passionate about and can expound for hours on. But if I had to sum it up to one golden rule it would be: Limit your exposure. Is your personal information worth 50 cents off at the grocery store. The less information you give to companies about you, the better. A.B.K. Always be Knolling. It is a process of arranging like objects at 90-degree angles. It's the reason Apple stores look so nice and I use it to organize my desk. It has made my desk, and by extension my mind, much less cluttered. I have made a lot of mistakes. No one stands out as worthy of inclusion. What I will say is that every mistake is an opportunity to learn. Making mistakes is not a bad thing. Repeating them is. Stanard Notes is an open source notes app that offers E2E encryption, syncing notes between devices with support for clients on almost any platform, and, most importantly, you can run your own syncing server. Standard Notes backend server is called Standard File and Standard Notes makes it super easy to deploy a server in AWS which can be done either manually, or through a provided preconfigured image. The documentation provided is great and makes it really simple to deploy a server quickly, but I don't use AWS. So here are a set of instructions for if you want to self host the server at another provider (DigitalOcean, Vultr, OVH, etc) or on your own hardware using Ubuntu 16.04. First things first, you need a server.  I am using the cheapest of the cheap available from DigitalOcean. This gives me 1GB of RAM and 25GB of storage for 5 bucks a month. If you deciede to follow these steps to the letter. You will need to create a swap file or Standard File will never start. Add the following line to the end of your /etc/fstab to make is persistent across reboots. With the swap situation sorted we can start on the actual install by getting some dependencies installed. This included grabbing rvm which we will use to install the latest version of Ruby. Then use mysql_secure_installation to configure the service. You can accept the defaults for most of the prompts with the exeception of the three listed below. Next we'll use Passenger to install Nginx. Next we'll setup a TLS certificate with Let's Encrypt. Then run Let's Encrypt to get a cert but not install it. If you try to let it install the cert, it will install in the wrong location. Nginx now needs configured to use the certificate. Now that we have all the backend work complete, we can actually setup the Standard File server. We need to create a .env file for the Rails app to load that tells it to use the database we setup earleir. SECRET_KEY_BASE=use "bundle exec rake secret"
SALT_PSEUDO_NONCE=use "bundle exec rake secret"
And that is it! You now have a Standard File server. For many, Kali Linux is the go to distribution for anything security related. The amount of support it has from both the creators and community has resulted in a Swiss Army Knife for anyone from script kiddies to professional researchers. Kali is designed out of the box to just work, and it does work very well. However, because it is so specialized it does not funciton great as a daily driver OS. This specialization results in a lot of services and ports being enabled and open that are required for tools to work properly that wouldn't normally be enabled. Also many of the tools require running as root to function properly. Finally, because things "just work," Kali requires use of it's repository for software. Other repos can be added, but at your own peril. So what if I want my security tools AND an OS that I can use as a daily driver? Enter BlackArch. While BlackArch can be installed same as Kali and is considered a Kali alternative, it can also be installed on top of an already running Arch installation. This is the configuration I run as my daily driver. BlackArch allows for it's repositories to be added alongside upstream Arch. I am then able to get the latest patches as soon as they hit upstream without having to wait for Kali to release their own version of the patch to their repo. Now, I could use VMs, or dual boot, or use a USB and while I do use a disposable Kali VM for engagements, I don't want to have to boot up a VM or reboot to mess around with security tools or do testing (read: Lazy). I have found that this setup works really well for my use case.